A clear cut on the north side of Hardscrabble Mountain north of Spencer Lake was cut by Plum Creek after this land surrounding Spencer Lake was sold to John Malone. ELLSWORTH, Maine — A Colorado billionaire who purchased more than 1 million acres of commercial timberland in Maine and New Hampshire earlier this year has officially been crowned the nation’s largest private landowner. 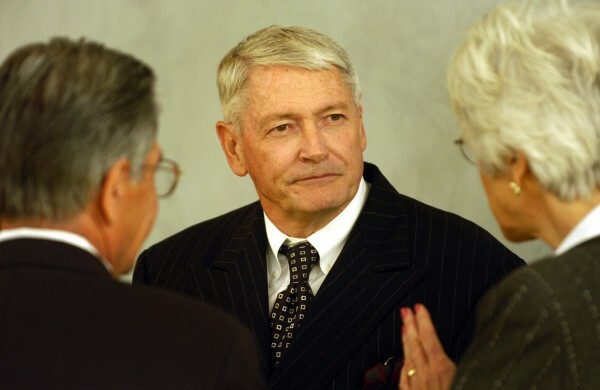 John Malone, who is chairman of Liberty Media Corp., edged out his friend and fellow media mogul Ted Turner for the title of the nation’s supreme land baron in the latest ranking of the Top 100 landowners by the magazine The Land Report. His land holdings total roughly 2.2 million acres, with nearly half of that acreage located in far eastern and western Maine. Malone is not the only Maine landowner at or near the top of the magazine’s list. Two family names much more familiar to most Mainers — the Irvings and the Pingrees — ranked No. 5 and No. 8 respectively among the nation’s largest private landowners. With more than 1 million acres, Irving Woodlands is Maine’s largest private landowner. But Malone is clearly the biggest mover and shaker, thanks in large part to his Maine purchase. Eric O’Keefe, editor of The Land Report, said Malone has been setting what he described as a “fierce pace” in recent years with his purchases. While Turner has amassed his 2 million acres gradually since the 1970s, Malone has bought roughly 1.3 million in two years. “So it wasn’t that long ago that he had less than 1 million [acres], and now he is at more than 2 million,” O’Keefe said. Not that either of the two men appear to regard it as much of a competition, according to O’Keefe. In fact, Malone often credits Turner with turning him onto the financial benefits of landownership. Malone leapfrogged Turner in terms of total acreage in February when a company he controls, BBC Land LLC, purchased nearly 1 million acres of timberland in Washington and Hancock counties as well as in the Rangeley region, plus 23,000 in New Hampshire. Malone also owns large expanses of land in New Mexico, Colorado and Wyoming and has earned a reputation as a conservation-minded buyer who maintains the traditional uses of the properties he buys. At the time, Malone pointed out that his interest in land conservation was well known and that the purchase of the Maine acreage “will further enhance these efforts.” Malone continues to manage the land as a sustainable working forest. A Connecticut native, Malone earned his reputation as a ruthless businessman and master deal maker during more than two decades at the top of Tele-Communications Inc. TCI was the nation’s largest cable company when it merged with AT&T in 1999 in a deal valued at more than $40 billion. Today, Malone serves as chairman of Liberty Media Corp., a diversified media giant whose holdings include such big-name brands as the travel website Expedia.com, cable channels QVC and Starz and the Atlanta Braves professional baseball team. Forbes recently ranked Malone No. 69 on its list of the 400 wealthiest Americans, with a net worth of $4.5 billion. Malone does not grant many interviews and could not be reached for comment on Wednesday. But in a Q&A published in March by Forbes magazine — parts of which were reprinted in The Land Report profile — Malone said he and his wife have owned property in Maine since 1982 and frequently spent entire summers here. “Maine is very similar to the area where we both grew up in Connecticut before that state was overbuilt,” Malone said. In addition to his newly purchased timberland, Malone and his wife also own several hundred acres in Boothbay, a shipyard in nearby Southport, an island in Penobscot Bay and more than 60,000 acres in the Jackman area. O’Keefe said that in the midst of such uncertainty both in the financial markets and in Washington, D.C., more and more investors appear to be looking at land as not only a good place to play but also as a safe place to put their money. 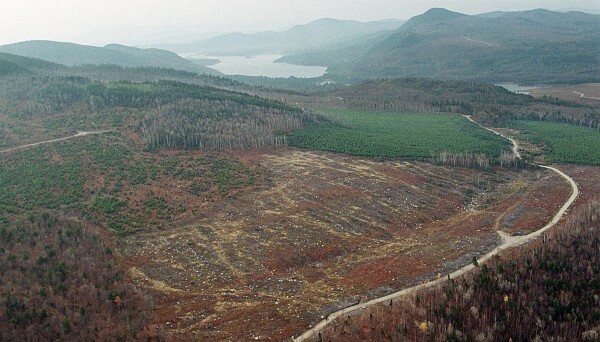 Lloyd Irland, a forestry consultant and author from Maine who taught at the Yale School of Forestry and Environmental Studies, said Maine has witnessed dramatic changes in landownership in recent decades that continue today. While the big corporations such as Great Northern Paper are gone, family ownerships such as the Pingrees and Irvings remain. But now, people such as Malone and Roxanne Quimby — another self-made millionaire/land conservationist — are gobbling up large tracts of Maine forestland. “What we are seeing is ‘new wealth’ — people who made their money in new, emerging industries — putting money into the timber industry alongside the old wealth, the old timberland families,” said Irland, a former director of Bureau of Parks and Lands and state economist for Maine.